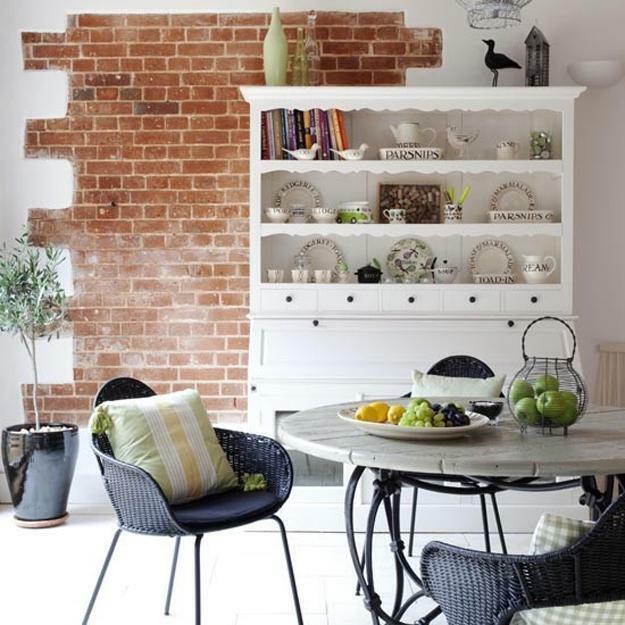 Old brick wall texture enhances modern kitchens and dining room designs, adding a rustic feel or a industrial look to home interiors. 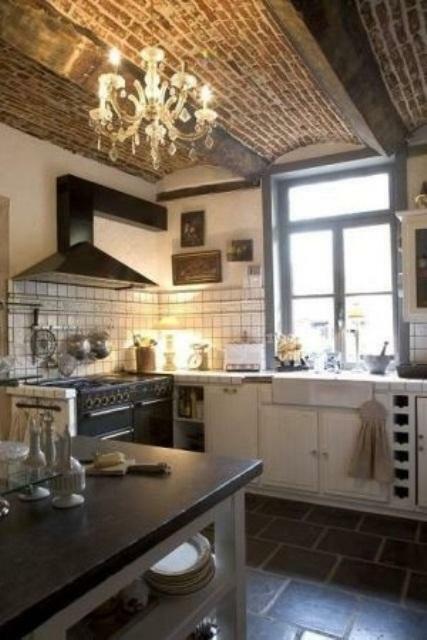 Ceiling and brick wall texture attractively emphasizes vintage kitchens and add unique look to contemporary kitchen designs, harmonizing home interiors and creating a bold combination of building and decorating materials. 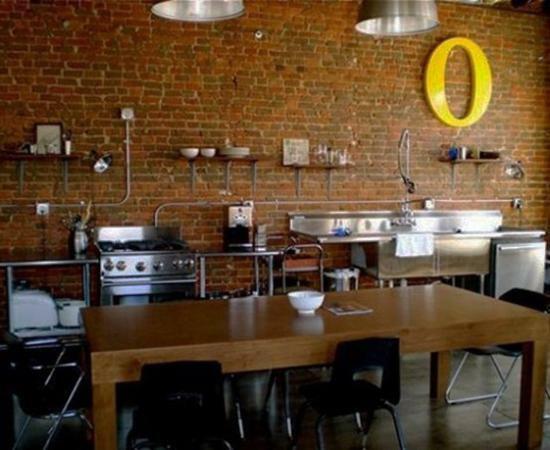 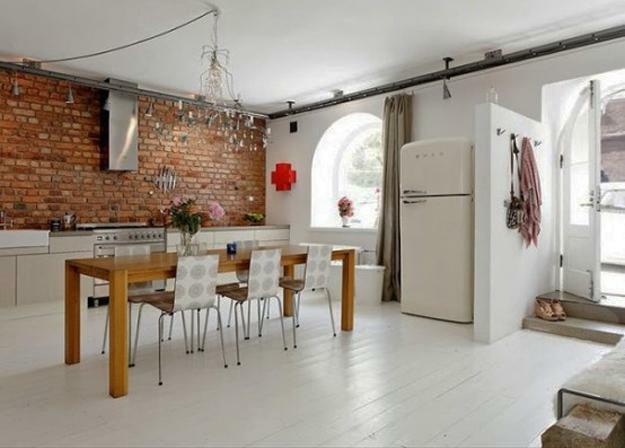 Exposed brick wall design and brick ceiling designs are unusual and striking. 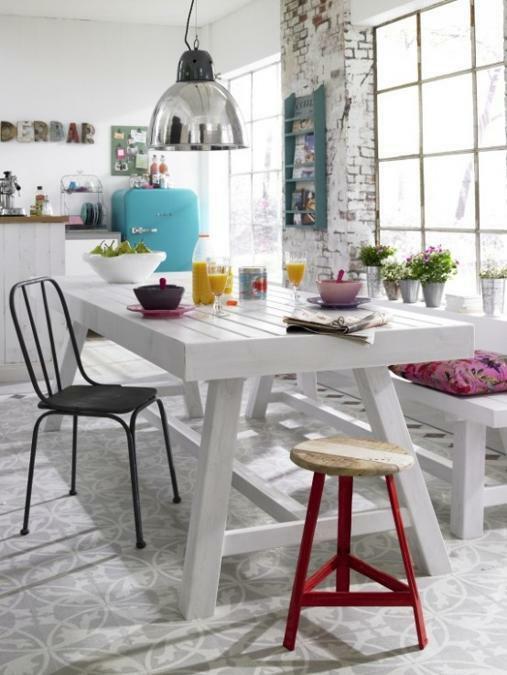 Painted white brick, red brick, gray or black brick wall design makes a statements, adding a gorgeous accent wall to modern kitchens and dining room designs in various styles. 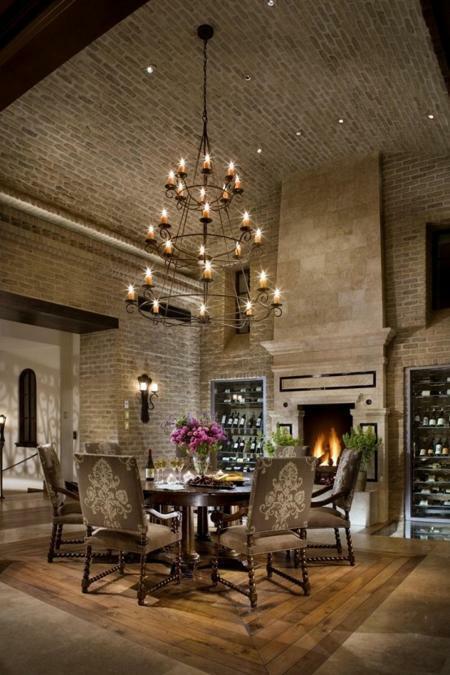 Exposed brick wall or ceiling designs look beautiful with wood, metal, glass and concrete. 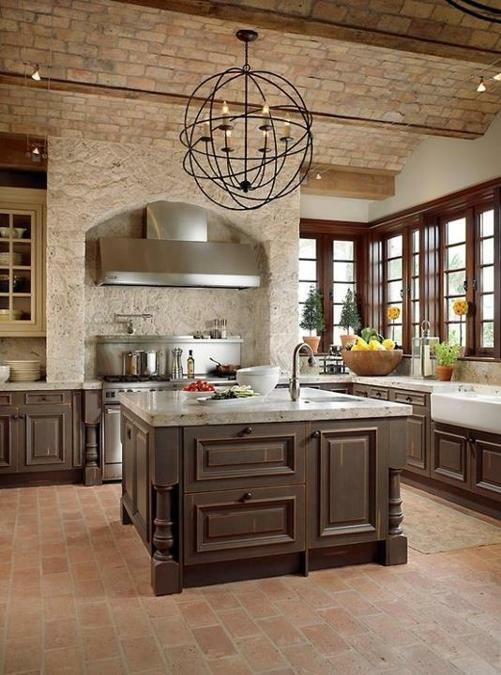 Brick wall background is excellent for modern kitchens and dining room designs in vintage style, traditional, ethnic or contemporary style. 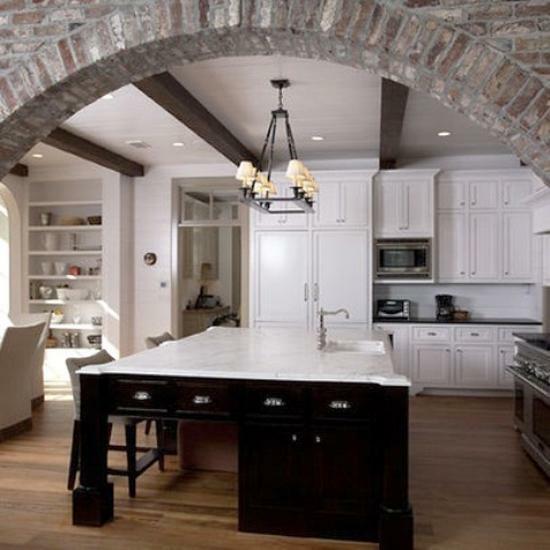 Exposed brick wall design or brick ceiling are versatile architectural features which work well with all color combinations, creating exclusive, original and stylish home interiors. 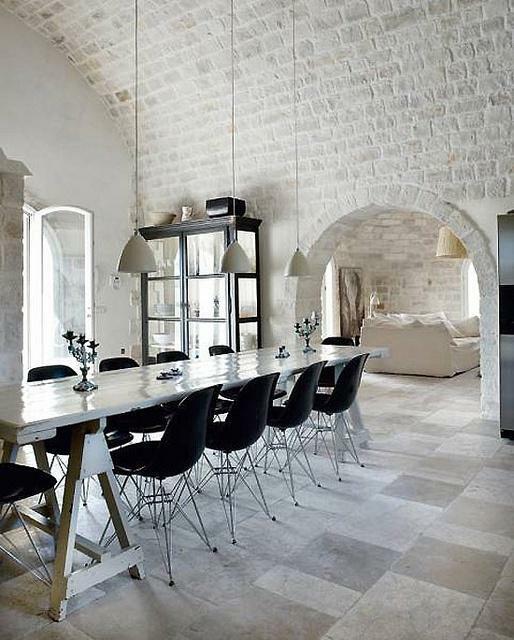 Here is a collection of 22 modern kitchens and dining room designs with an exposed brick wall or an amazing brick ceiling. 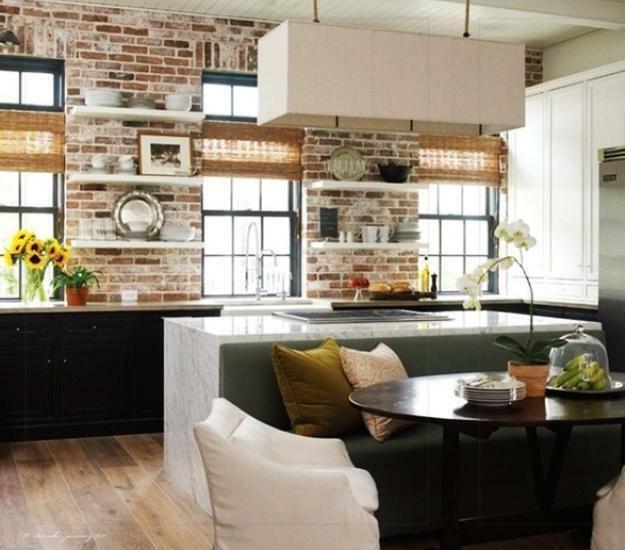 Inspiring and impressive, these brick wall designs create fabulous modern interiors with a rustic or industrial flavor. 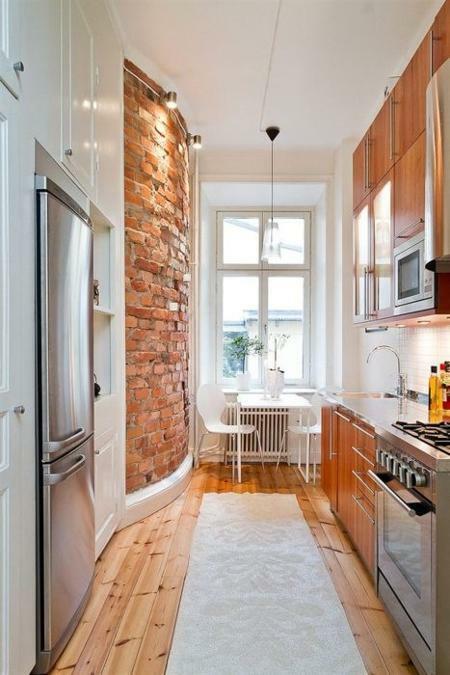 Interior brick wall designs help create different looks. 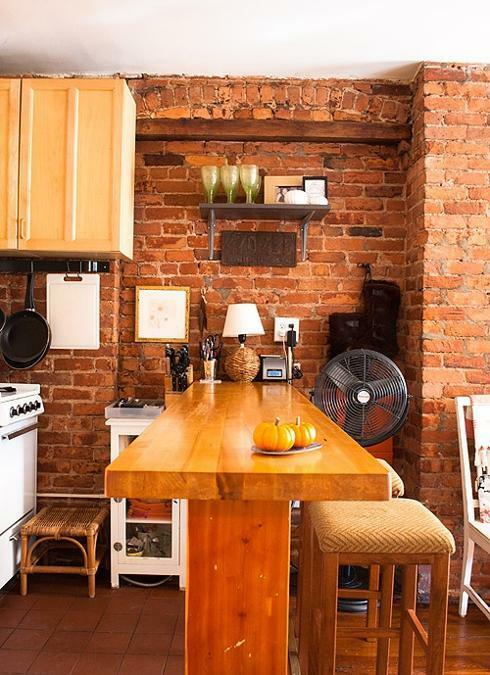 Exposed brick wall designs are warm, familiar and appealing. 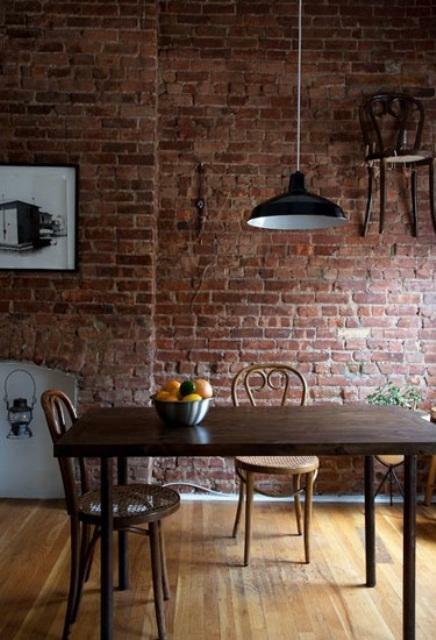 Antique old brick walls look timelessly beautiful. 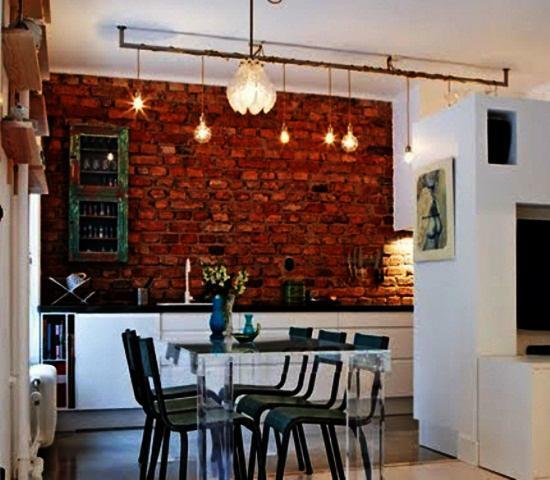 Reclaimed brick wall designs add a natural material to modern interiors in eco style. 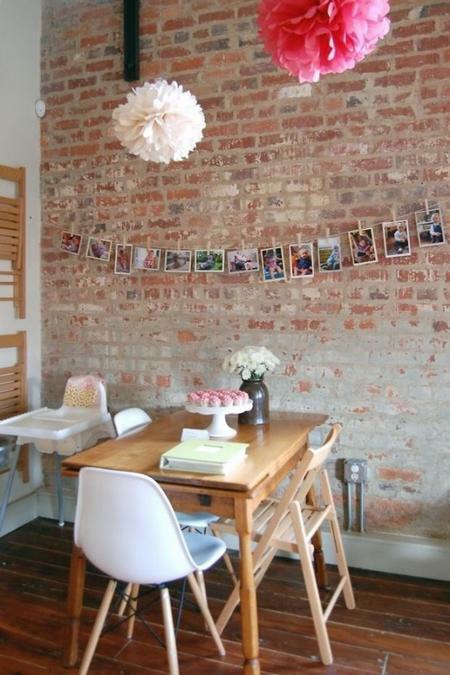 Exposed brick wall designs are durable and easy to decorate. 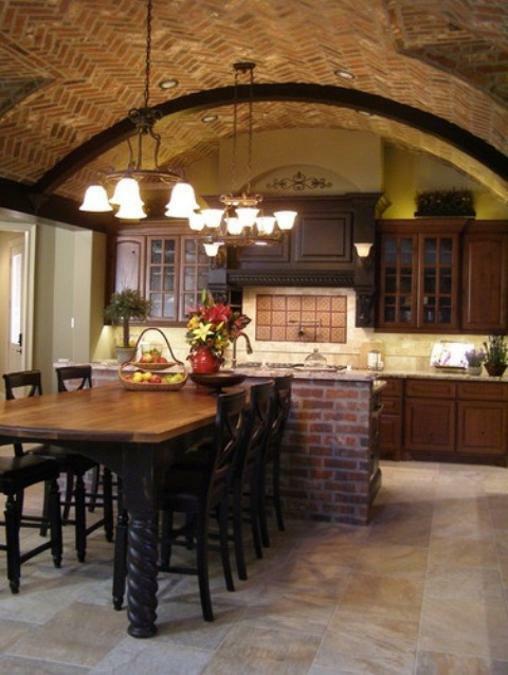 Brick ceiling or wall design gives home interiors a unique and stylish look, creating one-of-a-kind modern kitchens and dining room designs that are welcoming, beautiful and timelessly elegant. 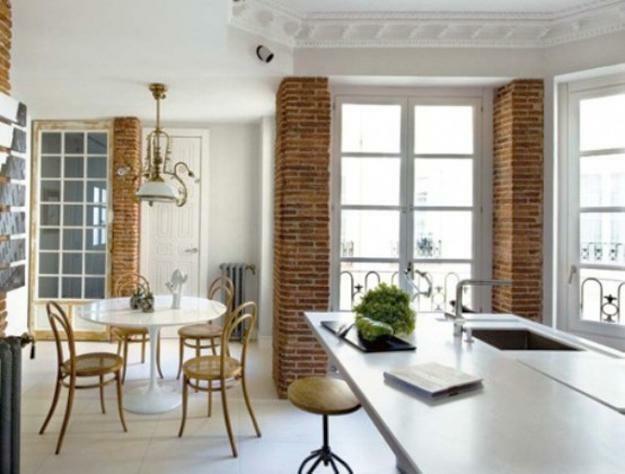 Brick is a wonderful building and interior decorating material that is sturdy and durable. 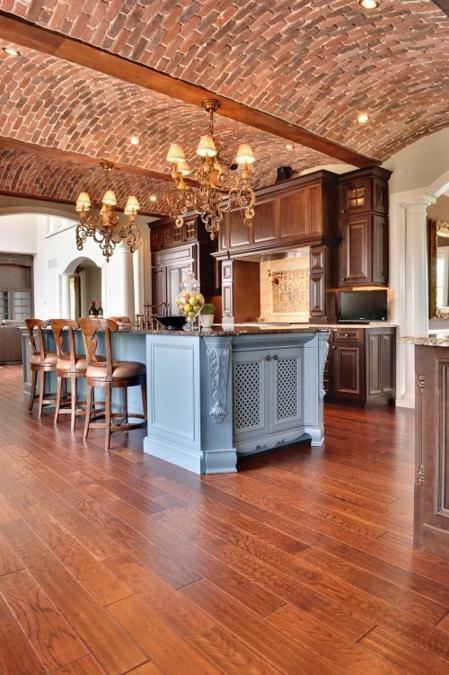 Brick ceiling and brick wall design is fire proof, which is why exposed brick walls are very popular modern interior design trends that people like to use for decorating their homes. 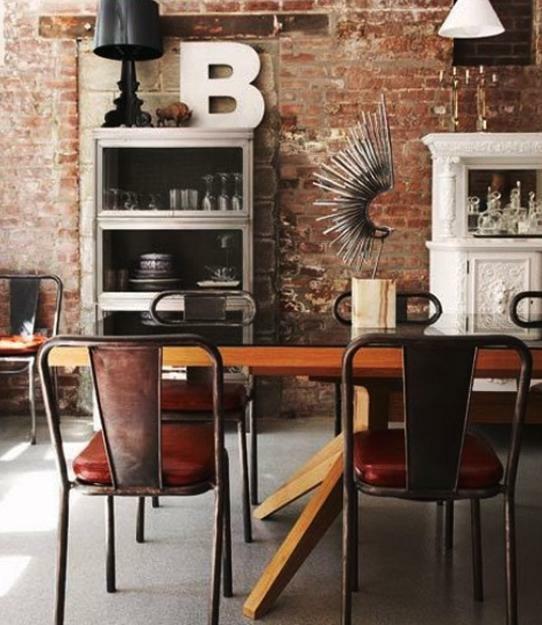 Exposed brick wall designs bring natural neutral colors and warm deep red and brown color shades into modern interior design. 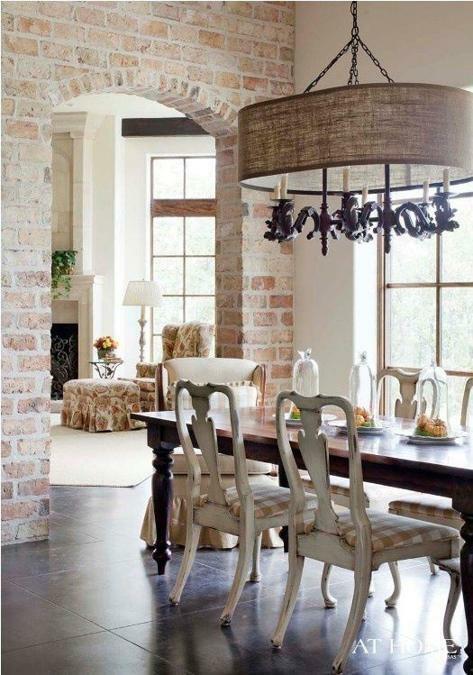 Exposed brick wall or ceiling are about the elegance and simplicity of rustic and industrial styles. 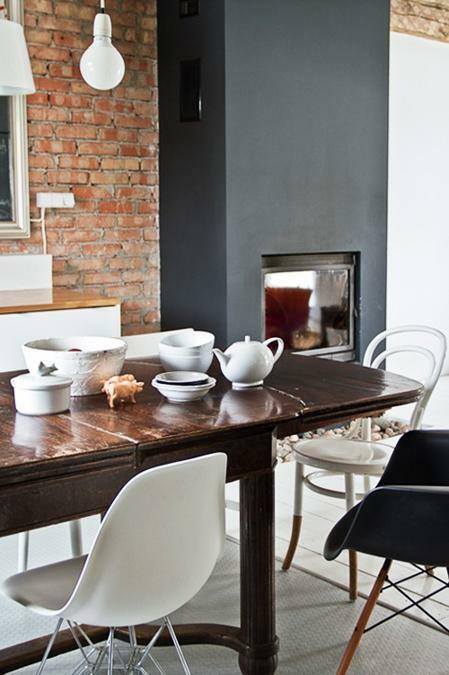 For those who like a more contemporary and bright appeal, old brick walls can be painted any color you like. 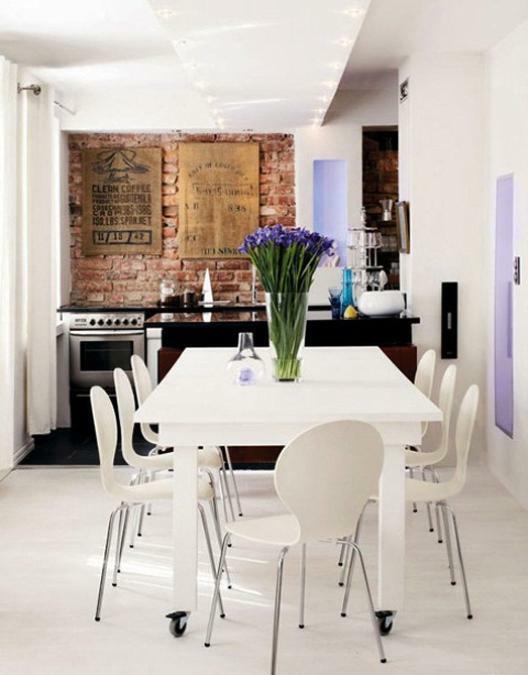 White painted exposed brick wall design looks especially bright, enhancing modern kitchens and dining rooms with unique brick wall texture and interesting look.